Armstrongs Garden Machinery Ltd was founded in 2001 and is still very much a family run business specialising in sales and service of garden and estate machinery throughout Preston and Lancaster. Our garden products are manufactured by the highest quality brands and we have a fully equipped workshop with fully trained technicians to provide servicing and repairs. 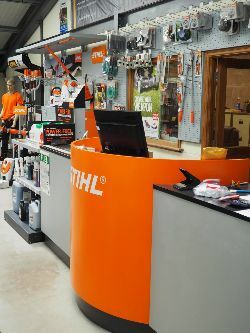 We provide a wide range of garden machinery including lawnmowers and we are authorised dealers for Honda, Stihl, Viking, Stiga, Ransomes, SCH and Billy Goat products. Our company offers a professional service to our customers along with expert advice in enabling them to make the right choice of equipment whilst giving them excellent after sales support. To speak to experts with more than 10 years of experience and trade within the garden machinery industry, call us on the number listed on this website and we will be happy to speak to you. You can also send us a message by filling out the handy form provided on the Contact Us page with any questions or queries that you may have and we will get back in touch with you as soon as we can.